A Tallahassee judge on Tuesday lifted a hold on her order finding that Florida patients should be allowed to smoke medical marijuana if their doctors approve it. Leon County Circuit Judge Karen Gievers lifted the stay on her May 25 order a day after hearing arguments in the case, initiated by Orlando trial attorney John Morgan after the Legislature included a ban on smoking in a 2017 law carrying out a constitutional amendment that broadly legalized medical marijuana. Gievers last month agreed with Morgan and the plaintiffs, who argued that the text of the constitutional amendment allows patients to use any form of marijuana as their treatment. Morgan largely bankrolled what was known as Amendment 2, overwhelmingly approved by voters in 2016. 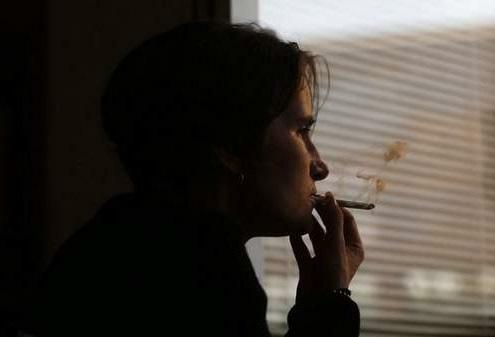 The state appealed Gievers’ decision striking down the smoking prohibition. The appeal put her ruling on hold, but the plaintiffs then went back to Gievers and asked her to lift the stay. In Tuesday’s order, Gievers wrote that plaintiffs Cathy Jordan, a Lou Gehrig’s disease patient who credits smoking marijuana with saving her life, and Diana Dodson, who has neuralgia associated with HIV, would suffer without having access to smokable marijuana. Gievers gave seven days before her order goes into effect, a delay requested by the state to give its lawyers more time to prepare an appeal and to eliminate what they said would be confusion if the judge were to remove the hold on her earlier order. A spokesman for the Department of Health said the agency is reviewing the ruling. “The use of medical marijuana is outlined in state law, which was passed by an overwhelmingly bipartisan majority of the Florida Legislature. DOH is working every day to implement the law. To be clear --- patients in Florida have access to this treatment in many forms outlined in state law,” agency spokesman Devin Galetta said in an email. Gov. Rick Scott, who is running against U.S. Sen. Bill Nelson in what is already a heated race, controls the health department, which critics have slammed for a lackluster approach to implementing the amendment approved by more than 71 percent of voters in 2016. Morgan, a political rainmaker who backed Hillary Clinton in the 2016 presidential race, continued to make smokable medical marijuana a wedge issue in the Nelson-Scott race in an interview with The News Service of Florida late Tuesday afternoon. Last week, Morgan called on Scott to drop the appeal in the smokable marijuana case, warning that he risked losing support from veterans, independents and moderate Republicans in the battle against Nelson. Pointing to language in the May 25 ruling in which Gievers equated breaking the Florida law with being able to breathe, Morgan quickly shifted to blaming the Republican governor and his administration for dragging their fee regarding medical marijuana. “Rick Scott voted with the 28 percent that lost. From day one, they have done everything to stop the implementation. The Department of Health is so inept that it has to be intentional and it had to come from the top. And now here we are, years later, and Rick Scott is still denying the will of the people and allowing this appeal to go on and on. It is conscionable. It is cruel. It is mean. And he will lose the Senate race over all of this,” Morgan told the News Service. On a less political note, lawyer Jon Mills, who represents the plaintiffs and was a chief architect of the 2016 amendment, said it would be easy for health officials and the state’s licensed medical marijuana operators to quickly make the smokable product available to patients. Floridians shouldn’t have to choose between violating the law and getting the medicine they need, Mills told the News Service after Gievers’ ruling came out Tuesday. “At the moment, we have an industry that exists and patients that exist, and we could solve the problem,” he said. Lawyers for the Department of Health have maintained that the amendment does not expressly permit smoking and that the state has the authority to approve regulations to implement the law and to protect the public from the negative side effects of smoking. In Monday’s hearing, Mills argued that hundreds of thousands of Floridians who are eligible for medical marijuana, including veterans who are suffering from post-traumatic stress disorder, would benefit from smoking their medicine. “It would seem that, taking the facts as a whole, and that is the irreparable harm to the parties and to the citizens of Florida, it’s hard to imagine more a compelling circumstance,” said Mills, a former state House speaker and former dean of the University of Florida law school. But Assistant Attorney General Karen Brodeen argued that there was no hurry for Gievers to lift the stay, in part because of a lengthy state rulemaking process. Smokable pot “won’t be available for a long time,” if the courts ultimately decide that it is legal, Brodeen said. “There’s no irreparable harm here. Nobody, at this time, can go to a medical-marijuana treatment center and purchase smokable marijuana. That’s going to take several months down the road, after an order that requires it to be available,” she said.